I have this problem with walking. I can never seem to walk in a straight line and it only gets worse with heels. As a result of my walking problem, I tend to have a lot of patent leather shoes with scuff marks on them - not a great look. When I first started wearing heels, I was worried that my scuffed shoes I had only worn one or two times before scuffing, were ruined for good. 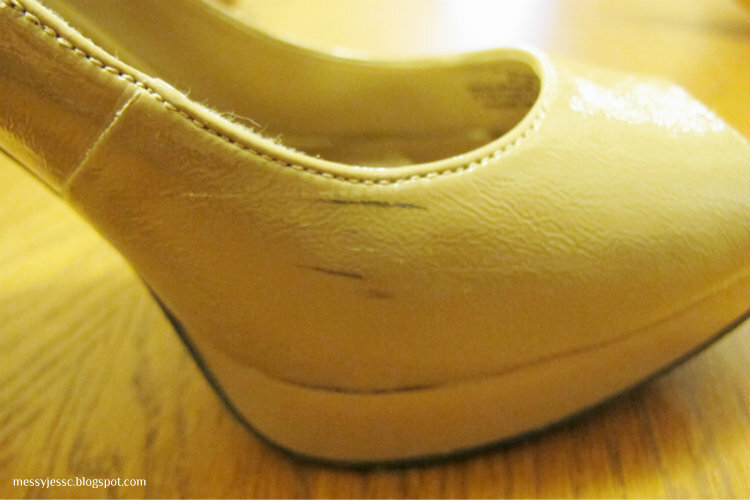 Through the power of googling, however, I learned about a solution to getting rid of ugly scuff marks and making patent leather shoes look like new. For all of you with a walking problem like me, I thought sharing this solution might be helpful. 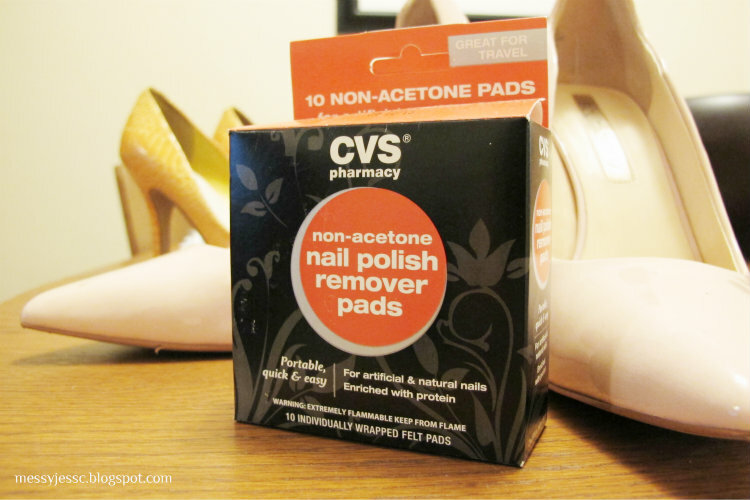 First, get yourself some nail polish remover. I use these non-acetone nail polish remover pads. 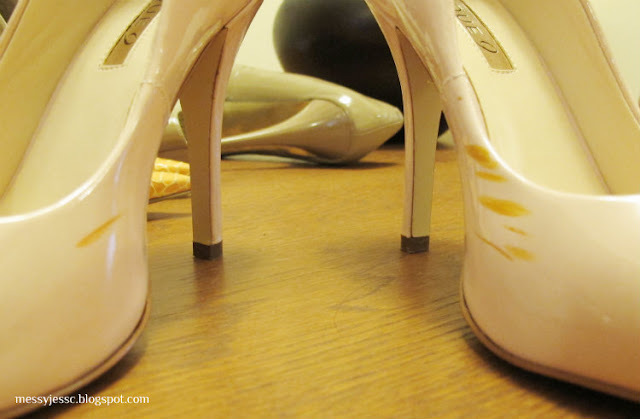 Next get your shoes and get ready for the magic to occur, but first, and this is VERY IMPORTANT, before you apply the remover to the scuff marks, test it on an inconspicuous are on the shoe. If it affect the color or shine, stop immediately. If it seems like it's ok, let's move on to the next step. 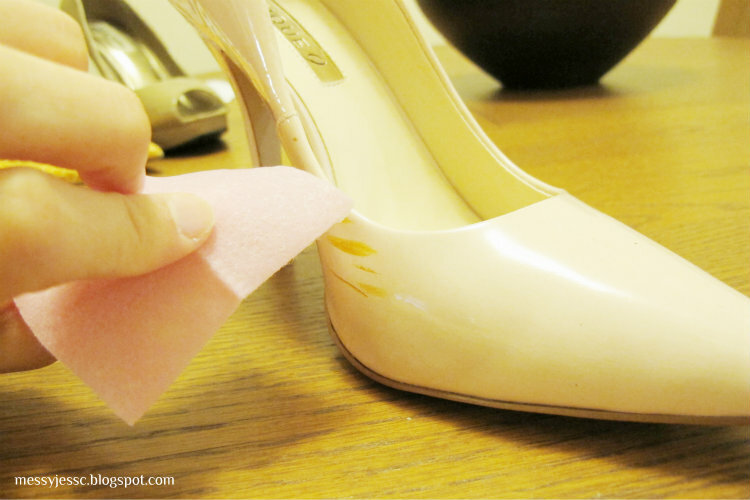 Gently dab the scuff marks with the nail polish remover pad or a cotton ball or pad soaked with nail polish. And Voila - your shoes look as good as new and you can wear them with your outfit as planned (see today's outfit photo above). Hope this helps all of you shoe-loving ladies out there! Yeah, I'm definitely going to use this! I have scuffs on several pairs of shoes. I probably spent way too much money replacing shoes with scuffs before I learned this trick. Hope it helps! Keep me posted on your results. Happy Monday Andi! you look so lovely in those pastel hues! 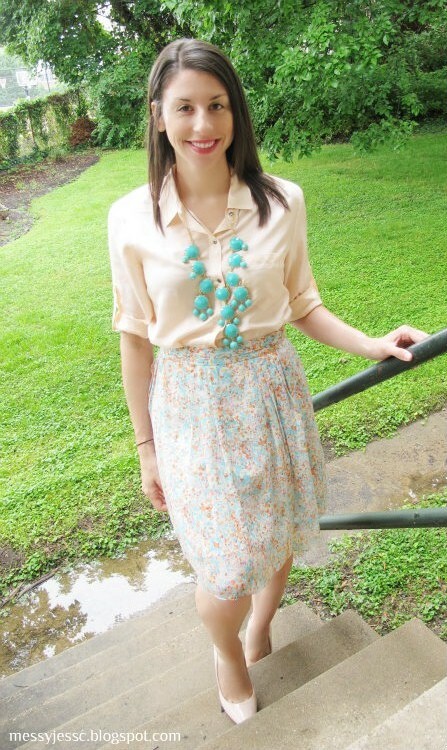 i really love that skirt. 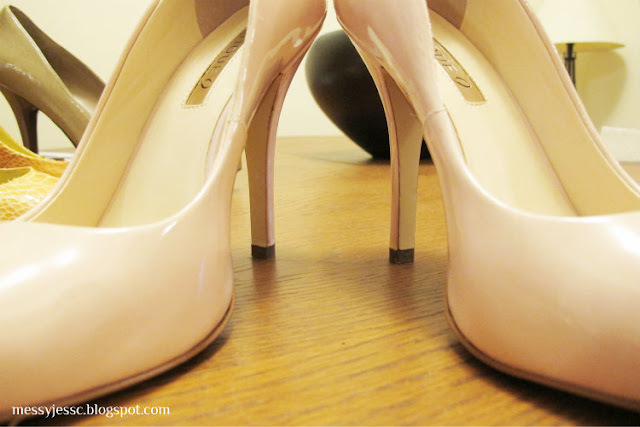 and thanks for the shoe tip - i don't have many patent shoes but i'll have to remember this! 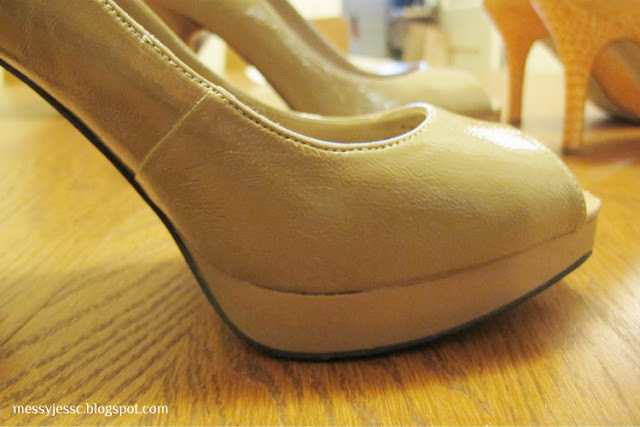 i am really hard on shoes or maybe not that conscious of how i am walking because i am always scuffing my shoes and wearing down the heel after only a couple wears!